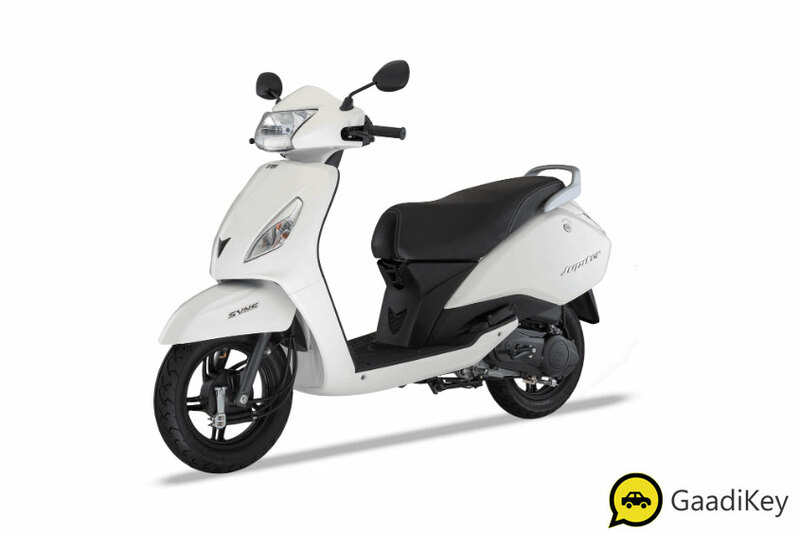 TVS Jupiter is one of the best-selling scooters in India in 110cc category. 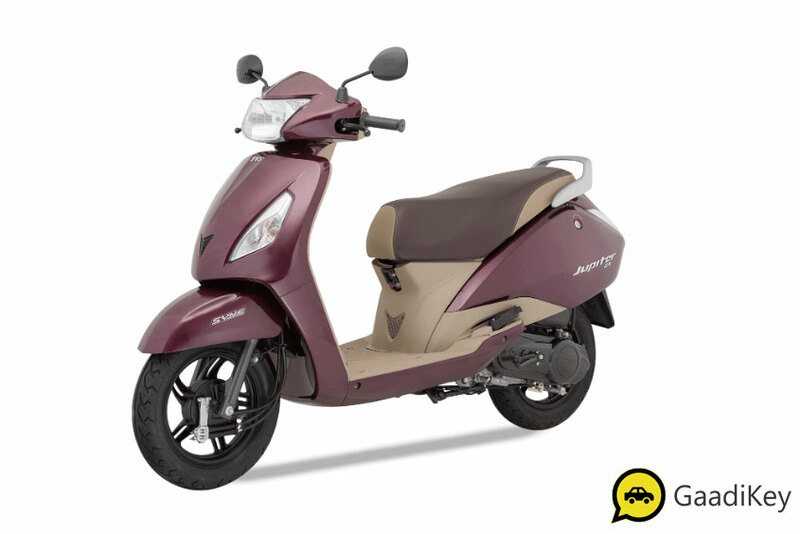 TVS Jupiter scooter stands only next to Honda Activa when it comes to overall automatic scooter sales in India. 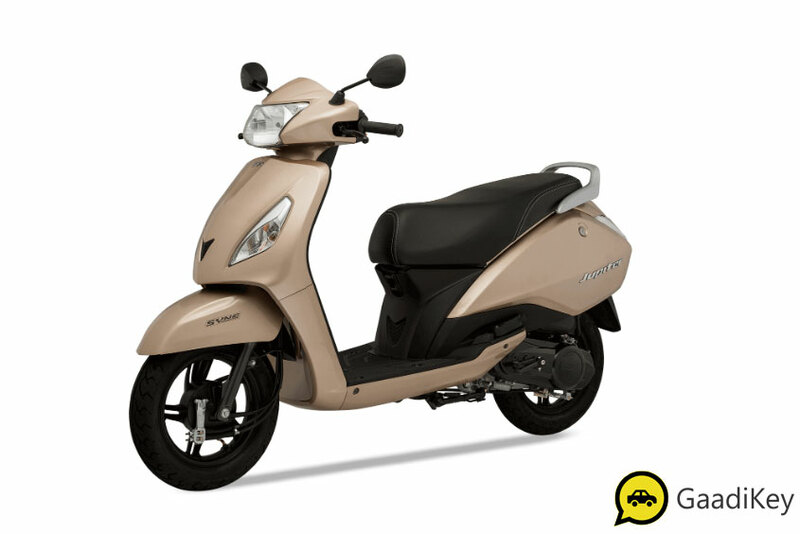 TVS Jupiter is offered in Classic and Grande edition as well that packs with premium accessories and styling. If you are planning to buy 2019 TVS Jupiter and need help in choosing the best color variant, this article should help you out. 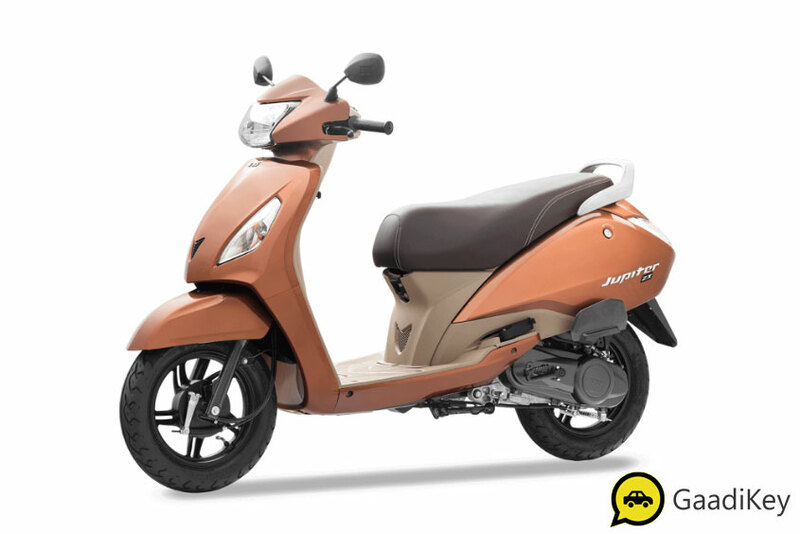 The all new 2019 TVS Jupiter is offered in Autumn Brown color option. Check out the photo of new 2019 Jupiter in Brown color (Autumn Brown). This color is only available for Jupiter Classic edition. 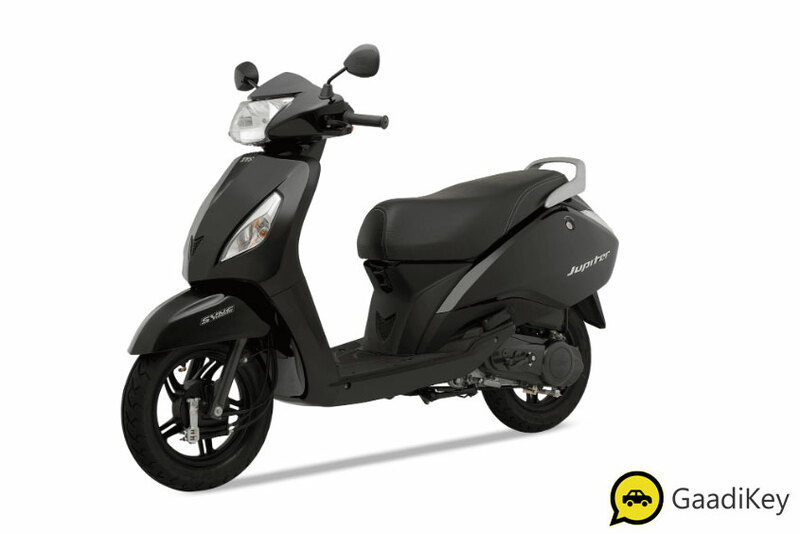 Get TVS Jupiter for Test Drive! 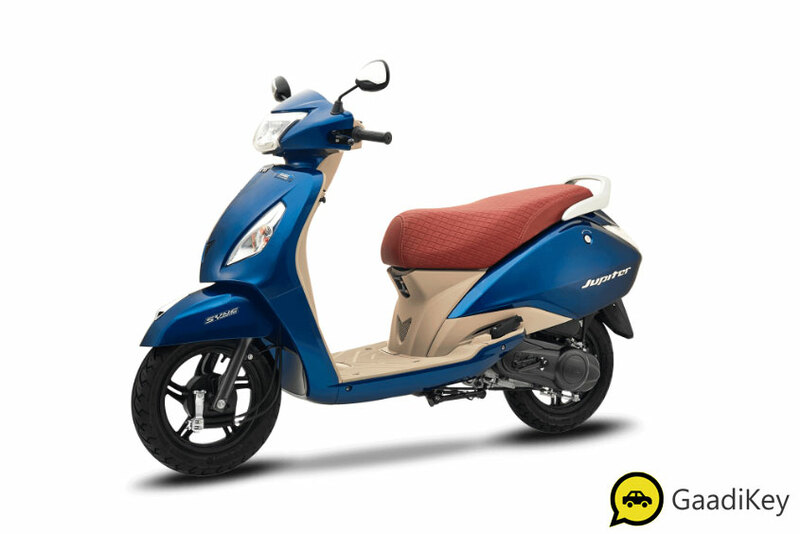 The all new 2019 TVS Jupiter is offered in Starlight Blue color option. 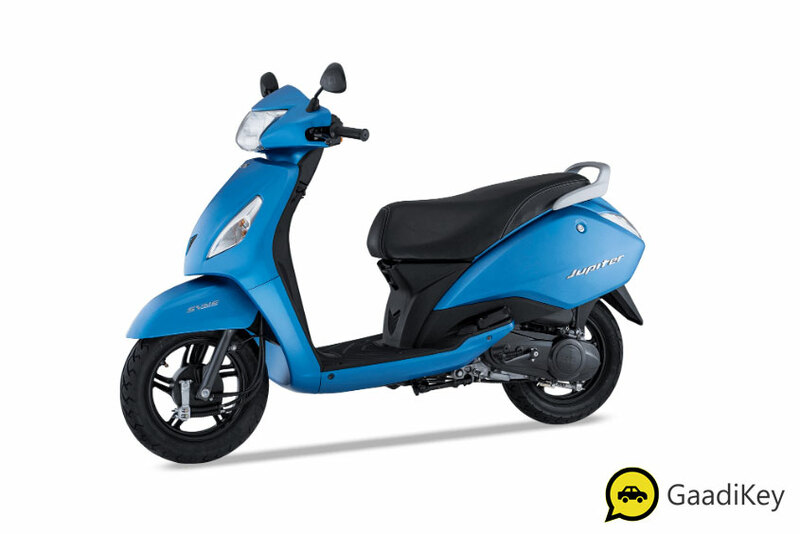 Check out the photo of new 2019 Jupiter in Blue color (Starlight Blue). This color is only available for Jupiter Grande edition. 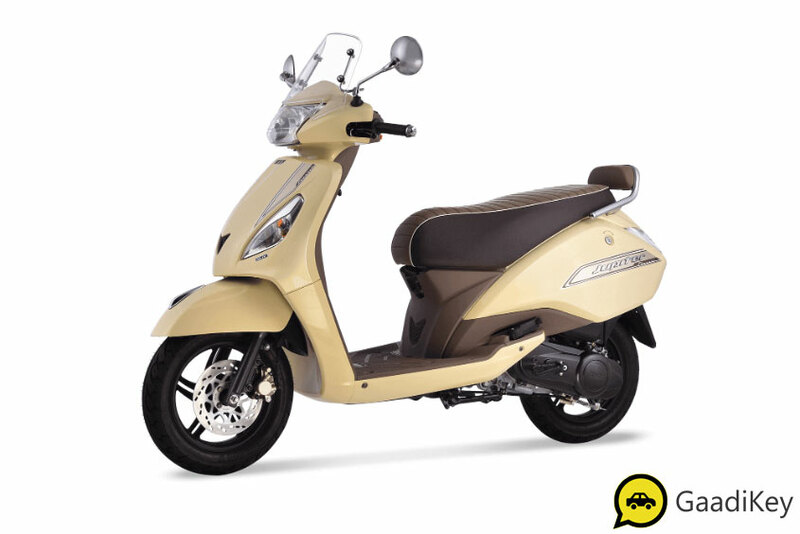 The all new 2019 TVS Jupiter is offered in Sunlit Ivory color option. Check out the photo of new 2019 Jupiter in Ivory color (Sunlit Ivory). This color is only available for Jupiter Classic edition. 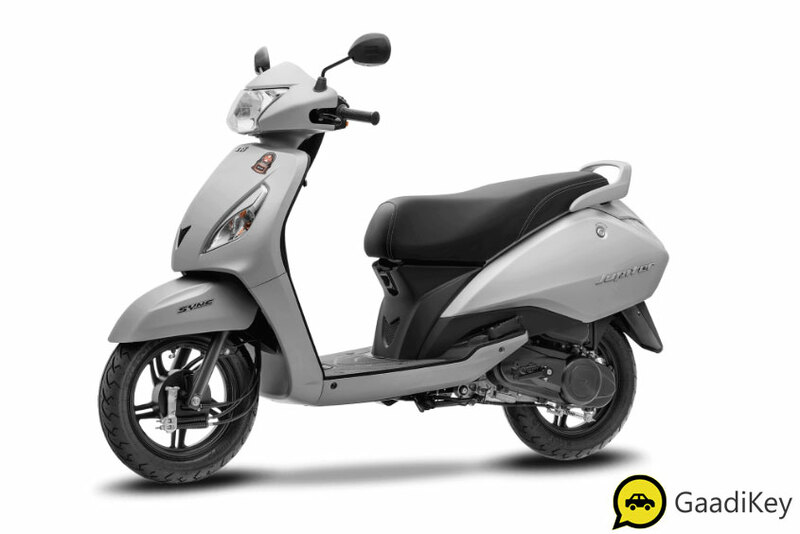 The all new 2019 TVS Jupiter is offered in Titanium Grey color option. 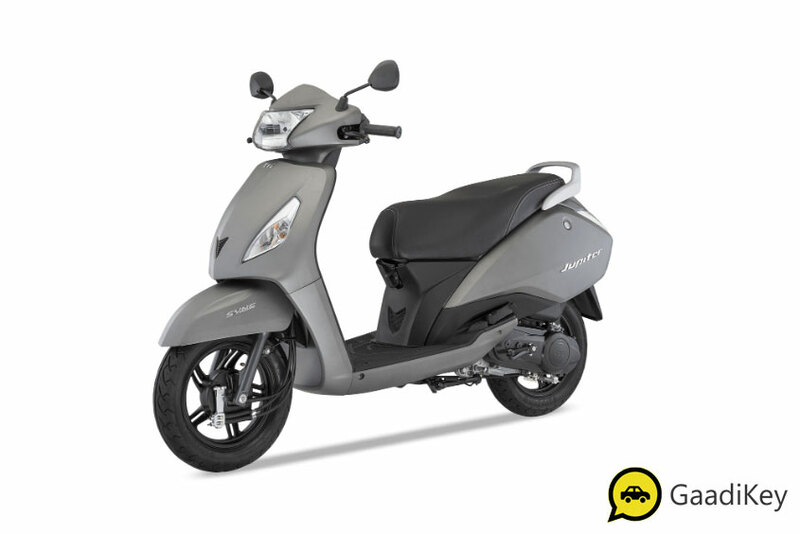 Check out the photo of new 2019 Jupiter in Grey color (Titanium Grey). 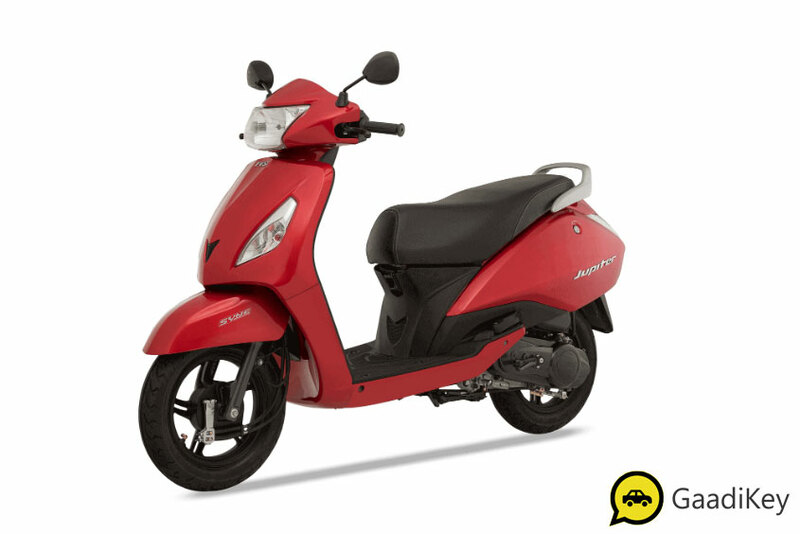 The all new 2019 TVS Jupiter is offered in Volcano Red color option. Check out the photo of new 2019 Jupiter in Red color (Volcano Red). 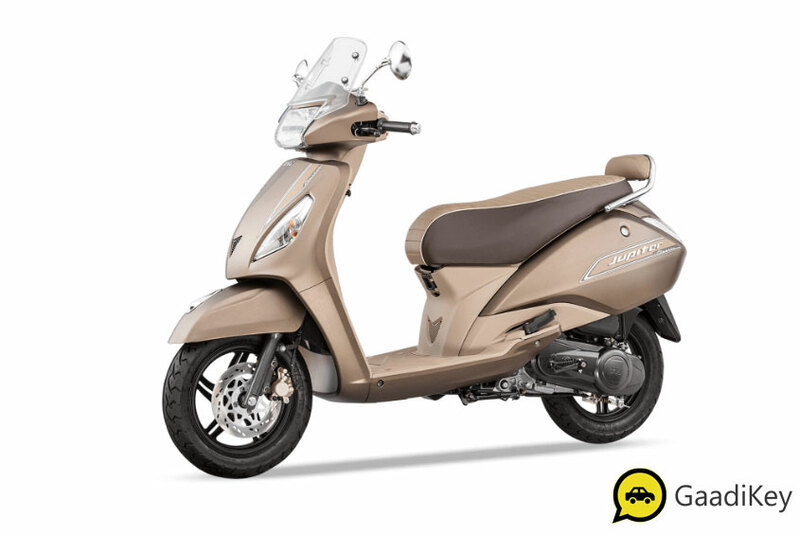 The all new 2019 TVS Jupiter is offered in Walnut Brown color option. Check out the photo of new 2019 Jupiter in Brown color (Walnut Brown). 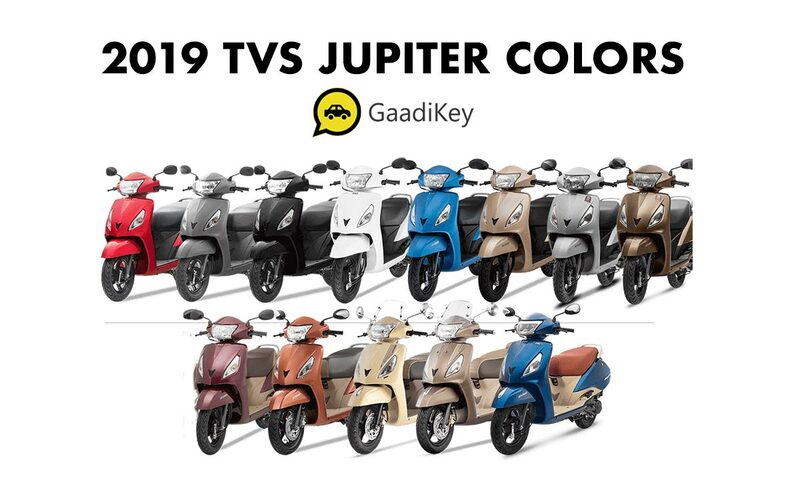 According to you, which is the best color variant for 2019 TVS Jupiter? 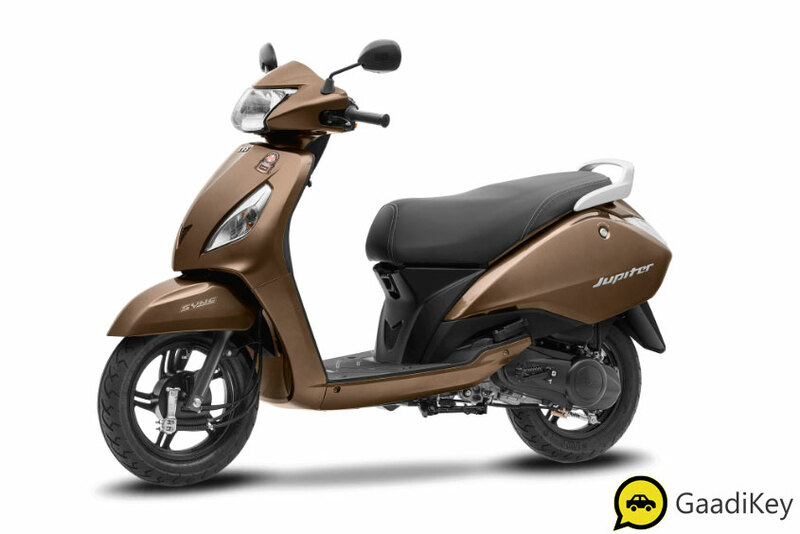 What’s your take on other variants of new model 2019 TVS Jupiter like ZX, Classic and Grande?